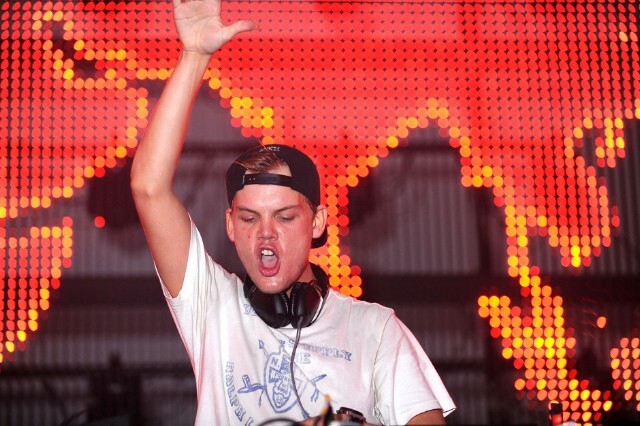 Swedish DJ solicits fans' assistance for his next production, which he will "executive produce"
You’re Avicii. You’re responsible for one of the biggest dance-pop crossover hits of the past two years, “Levels,” with 56 million YouTube plays (and counting). Your subsequent tracks, while successful, have sounded like “Levels” redux, minus the Etta James sample that made “Levels” so potent in the first place. In short, you seem to have writer’s block. Why not try outsourcing? This isn’t the first time that crowdsourcing has been used in an electronic-music production. Matthew Herbert has been doing it for years: He invited fans to record themselves biting into an apple for “An Apple a Day,” a song on his 2005 album Plat du Jour — in the end, 3,255 of them did; “Without any one of them, this record would have sounded different,” said Herbert — and he took the concept even further for his soundtrack to 2011’s Life in a Day, a “user-generated” documentary by director Kevin Macdonald. But Avicii’s stunt adds a brazen new level of focus-grouping to the concept. After all, if only the top-voted elements make it into the track, it’s bound to be a hit, right? It’s not all entirely cynical; Bergling and his manager, Ash Pournouri, have pledged to donate all royalties from the track to House for Hunger. (Bergling donated $1 million in tour proceeds to the charity’s Feeding America initiative in 2012.) But there’s plenty of upside for Avicii, who will benefit from the social-media boost that accompanies thousands of fans promoting their own submissions as they plead for likes, plays, votes, comments, and shares. What is new about “Avicii x You” is the gamification element, in which contributors can earn credits, from “Rookie” to “Featured Producer,” with prizes ranging from stickers and tote bags all the way up to press opportunities and official credits. As crowdsourced initiatives in generating intellectual property go, it certainly beats Amanda Palmer’s offer of free beer and high fives.